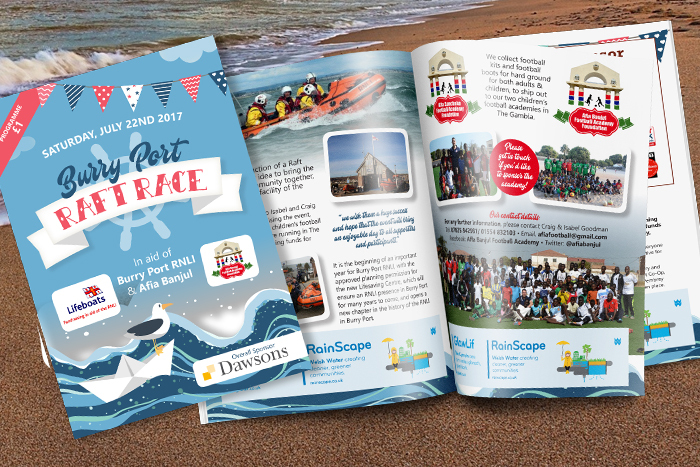 In July I was delighted to be asked to design a A5 programme for the Burry Port Raft Race. The event took place on July 22nd 2017 and had a fantastic turn out. Thankfully the Welsh weather was kind and it was a great success. The event was in aid of two great charities: Afia Banjul Football Academy Foundation, The Gambia & Burry Port RNLI .